Our product range includes a wide range of water pollution control systems and raw water treatment plant. We are engaged in offering a range of Water Pollution Control System Consultancy Services to our clients. These Water pollution control system consultancy services are carried out by our team of experienced and expert personnel, who have considerable understanding of this domain. They are well-versed with all the complications involved in this and offer the best solution to our clients. We offer a wide range of waste water treatment plants, which are used for treating waste water in various industrial, commercial and domestic areas. 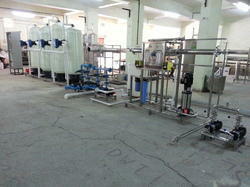 We set up these treatment plants after proper assessment of the performance and needs of the specific industry. Our waste water treatment plants are fabricated using advanced technology and carry out purification using chemical and biological process. We provide them with required equipment to perform high rate clarifier coagulation, precipitation and bio-media clarification of waste water. Our range of waste water treatment plants includes water discharge system, RO system, salt recovery system, zero discharge system, reusable system, RO water treatment plants, industrial water treatment plants and reverse osmosis water treatment plants. 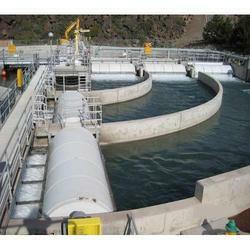 Looking for Water Pollution Control Systems ?